Affordable housing nonprofits could get first crack at buying multi-unit buildings under legislation introduced Tuesday to protect tenants from real estate speculators. Trauss exposed. Officers separated the two sides though they did not stop the vocal YIMBY chants from disrupting the speakers. Trauss exposed photo by zrants. Following dueling press conferences, protests and counter-protests, the Board of Supervisors on Tuesday went on record about SB 827, Sen. Scott Weiner’s bill in the California legislature that would reduce restrictions on height and density for residential developments near transit lines. Scott Weiner’s SB 827 loses. 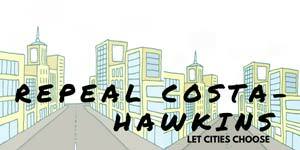 Residents, homeowners, and city officials win this Will Scott Wiener and the rest of our representatives in Sacramento get the message Aaron Peskin tried to send that the help we need from the state is: Repeal Costa-Hawkins, Amend the Ellis Act and send buckets of money to help solve the homeless problem. 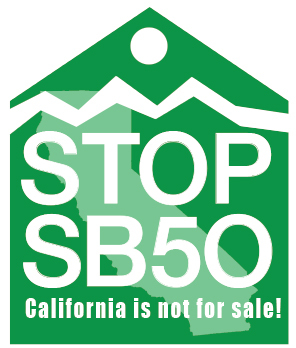 We do not a state takeover of local jurisdiction and constant CEQA amendments. There are hundreds of entitled projects in the pipeline that are stalled for physical reasons that have nothing to do with permitting. As anyone attempting to do any repairs, remodeling, or building knows, there is a severe labor shortage in the construction industry, and importing foreign labor is not easy. There is a shortage of materials and costs are going through the roof due to federal manipulations and an impending trade war. Higher interest rates are drying financing options. The legislation may want to consider how to solve these problems instead of harassing local communities. Note these Southern California residents refer to Senator Wiener as “Republican Senator Scott Weiner”. After two weeks of last-minute negotiations between the developer of the largest housing project planned for the Mission District and its opponents, the scene is set for a contentious hearing at City Hall on Thursday as officials weigh the merits of a development that is going forward as-is. Earlier this year, the developer of 2000-2070 Bryant St., Nick Podell, decided to split his site in two and dedicated 34 percent of it to affordable housing. That move — though it bumped up the affordable housing on-site to 41 percent, an unprecedented number — put the city on hook to finance and construct those affordable units and local activists fear that means the units will be built later. Activists like Kahn wanted Podell to increase the amount of affordable housing to 50 percent of the project site, to secure financing for it, to promise to retain light industrial space formerly on the project site, and to use union labor in construction. They did not estimate how many more affordable units could be built on half the land as opposed to the third Podell dedicated. Instead, Podell offered two more “flex units” that could be used as live-work space for artists, but that was too little, activists said. The project — a nearly block-long site on Bryant Street between 18th and 19th streets — will go before the Planning Commission on Thursday for final approval with the design envisioned by Podell. Dennis Richards, the vice-president of the Planning Commission, said opponents of the project need to make their case that the Bryant Street development “is not necessary or desirable and not compatible” for commissioners to delay or vote down the project. “Loss of PDR space, the amount of affordable housing proposed and when it gets built, and labor’s opposition are the main areas of contention that I see remain unresolved,” he said. Even if the project is approved, Papadopoulos said activists would continue to push for more affordable housing, light industrial space, and union labor, vowing to appeal the decision to the Board of Supervisors.